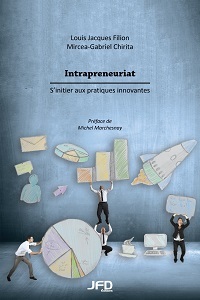 Check out the new book on innovation and intrapreneurship, by Louis Jacques Filion and Mircea-Gabriel Chirita: Intrapreneuriat : s’initier aux pratiques innovantes! People these days are no longer interested in boring, repetitive jobs, and are often looking for something creative and innovative. Given how quickly the world is changing, it’s important for businesses to continue transforming themselves too, if they want to stay in the race. That’s why the candidates employers are seeking increasingly need to have creative skills that will let them bring innovation to the company, find avant-garde solutions to challenges, and help come up with new goods and services and ways of doing things. Employees who introduce innovations help organizations reinvent themselves. These people, called “intrapreneurs,” approach their jobs as if they were self-employed entrepreneurs and implement imaginative approaches, activities and business models. In the West, the number of large companies that explicitly mention innovation, creativity and intrapreneurship in their recruiting ads has been growing every year over the past decade or so. This book is the fruit of the authors’ research and thinking on this theme. It contains various case studies in addition to summarizing current knowledge on intrapreneurship and organizational entrepreneurship. A Professor in the Department of Entrepreneurship and Innovation and holder of the Rogers – J.-A.-Bombardier Chair of Entrepreneurship, Louis Jacques Filion (PhD in Systems and Entrepreneurship) has a varied background in entrepreneurship, intrapreneurship and innovative management practices. He has received many distinctions, including the Lifetime Achievement Award from the Canadian Council of Small Business and Entrepreneurship, the Wilford White Fellowship from the International Council for Small Business (ICSB), the Julien-Marchesnay Award from the Association internationale de recherche en entrepreneuriat et PME (AIREPME), and the Entrepreneurship Promotion Emeritus Award from the Fédération des chambres de commerce du Québec. He has spoken on the topic of entrepreneurship on all five continents and authored or co-authored some one hundred publications, including some twenty books, and over 150 case studies. 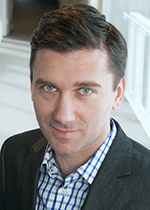 Mircea-Gabriel Chirita (PhD 2013 and MSc 2006) is the Director of the research observatory at the Institute for Entrepreneurship National Bank | HEC Montréal. His research focuses mainly on models of the ways in which entrepreneurial intentions take shape, innovation through business models, and entrepreneurial teams. He is a member of the Rogers – J.-A.-Bombardier Chair of Entrepreneurship, and has been a Lecturer at HEC Montréal since 2009. Louis Jacques Filion and Mircea-Gabriel Chirita. Intrapreneuriat : s’initier aux pratiques innovantes, by Louis Jacques Filion and Mircea-Gabriel Chirita, Éditions JFD, May 2016, 302 pages. Available at the Coop HEC Montréal.